Promiscuous farm girl Barbe (Adélaïde Leroux) entertains numerous lovers, but mostly prefers the company of Demester (Samuel Boidin). Demester seems incapable of commitment, and so Barbe sleeps with Blondel (Henri Cretel) out of revenge. Soon after, she sees both lovers off to war. While Barbe discovers she is pregnant, Demester and Blondel experience atrocities on and off the battlefield. 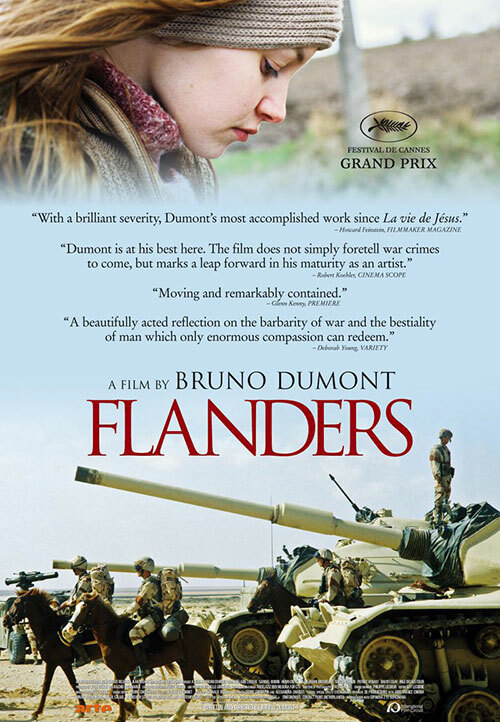 0 Response to "Flanders (2006) Bruno Dumont"